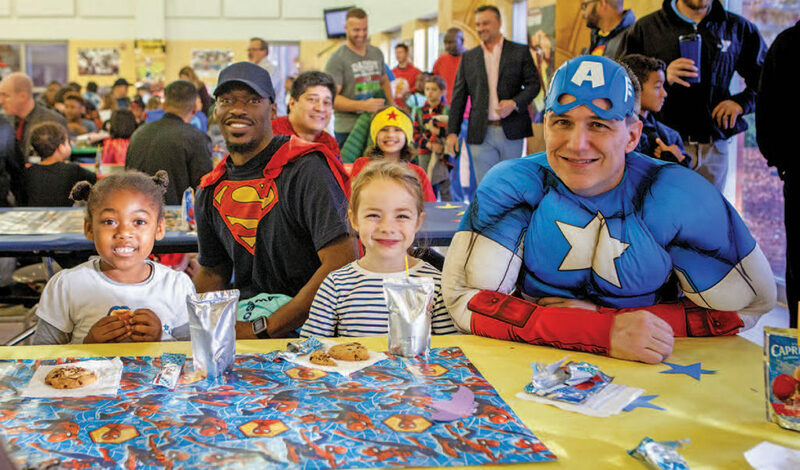 Dr. Angella Hauser, principal at Jesse Wharton Elementary led a spirited school celebration honoring Superdads as heroes for students at the third annual school breakfast. The program served to validate the importance of fathers in lives of children. Jesse Wharton is located at 5813 Lake Brandt Road in Greensboro.